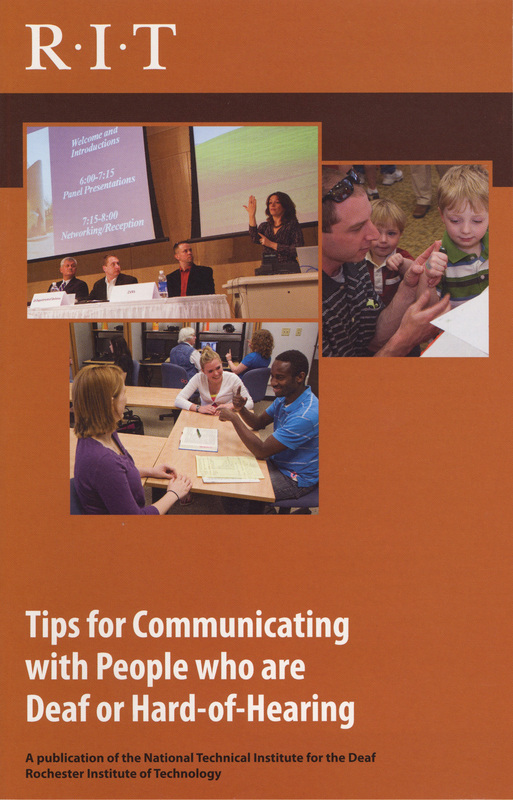 This brochure contains information on how to communicate with deaf and hard-of-hearing people in a variety of situations. The publication is designed for people who have little or no knowledge of deafness. Tips for communicating one-to-one, in groups and in work situations are included. Strategies for communicating in writing, on the telephone, through an interpreter and with visual cues are also described. 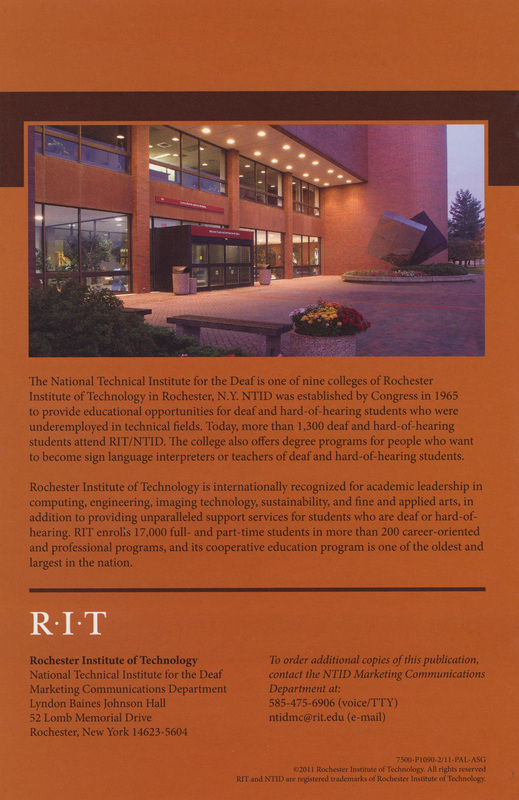 The brochure contains a vocabulary section that provides a list of terms commonly associated with deafness.